This week, I learned a new skill - how to make the perfect latte! Some of my friends were confused by the photos I put on Facebook, thinking I'd started a new career but sadly, no. 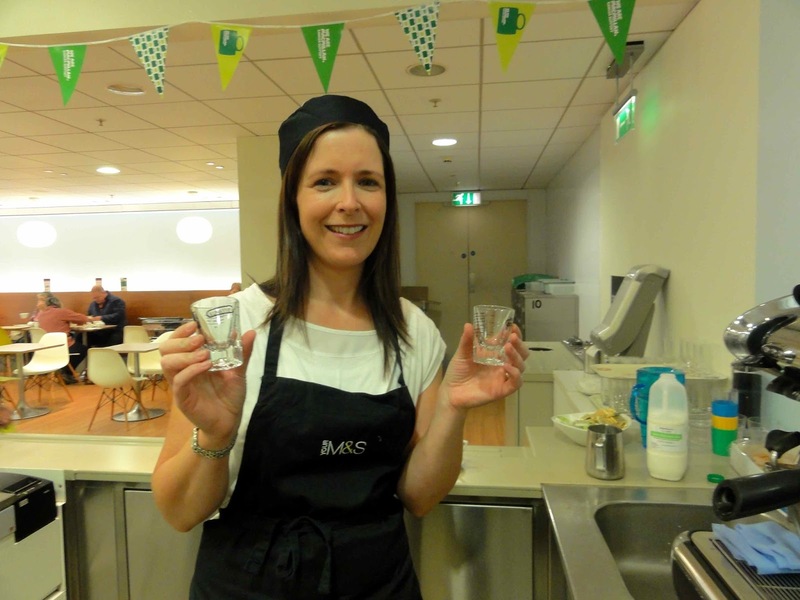 It was part of a campaign to raise awareness of the World's Biggest Coffee Morning, next Friday 27th September, in support of Macmillan Cancer. Marks & Spencer get involved every year and one of the best ways for you to support this amazing charity is to do what we all do most days...go and have a coffee in your local M&S cafe, because for every one sold, M&S will donate 50p to Macmillan. 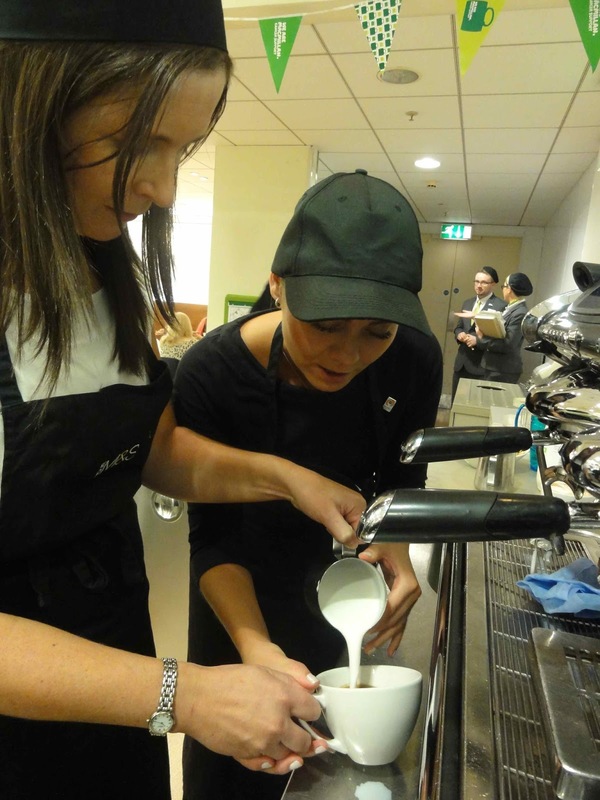 I can confirm that a good latte is more about technique than equipment and I had a master barista to show me the correct technique - the talented Lenka, who trains employees right across the M&S network in Ireland, North & South. 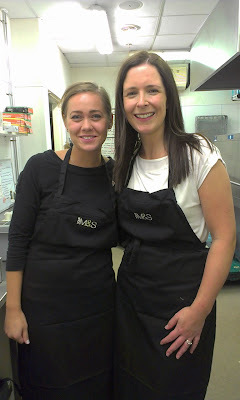 I showed up at 9.30am, donned my hat and apron and was ready to rock! 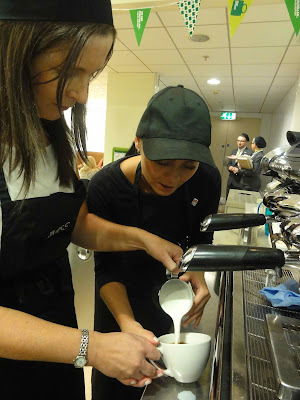 Next, it was milk frothing - trickier than you think and definitely the most important thing for ensuring a perfect latte. I learned how to hold the jug, angle the frother and judge the heat to get a swirling, shiny, frothy but bubble free milk to pour into your espresso. By the end of the morning, I was making a pretty cool latte, thanks to this wonderful lady. And that's not all from M&S. To thank me for coming along, they've offered local readers of School Gate Style the chance to win a hamper full of coffee/tea related items (cafetiere/coffee/cake etc), worth £100! This will be couriered to you just in time for the World's Biggest Coffee Morning on the 27th September. To be in with a chance of winning, simply enter via the Rafflecopter widget below. You can also enter on Facebook by liking and sharing this post (and you can enter twice by doing both!) Unfortunately, due purely to logistics, I can only offer this prize to readers in Northern Ireland. Competition closes on Tuesday 24th September. 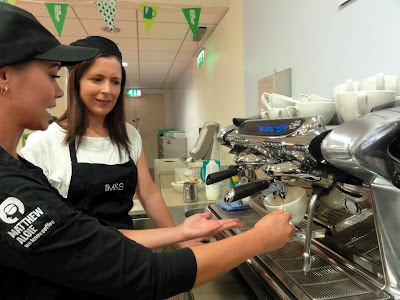 But I do urge all of you all over the UK and Ireland to support the coffee morning next week in whatever way you can, whether it's by hosting a coffee morning in your home or workplace or by visiting M&S and taking part in the activities planned in your local store. Visit www.macmillan.org.uk/coffee, call 0845 602 1246 or text COFFEE to 88080 to get your Coffee Morning Kit today! I think the hat suits you! Latte looks lush - did it come with a cream and jam scone?? well done, quite the accomplished looking latte! 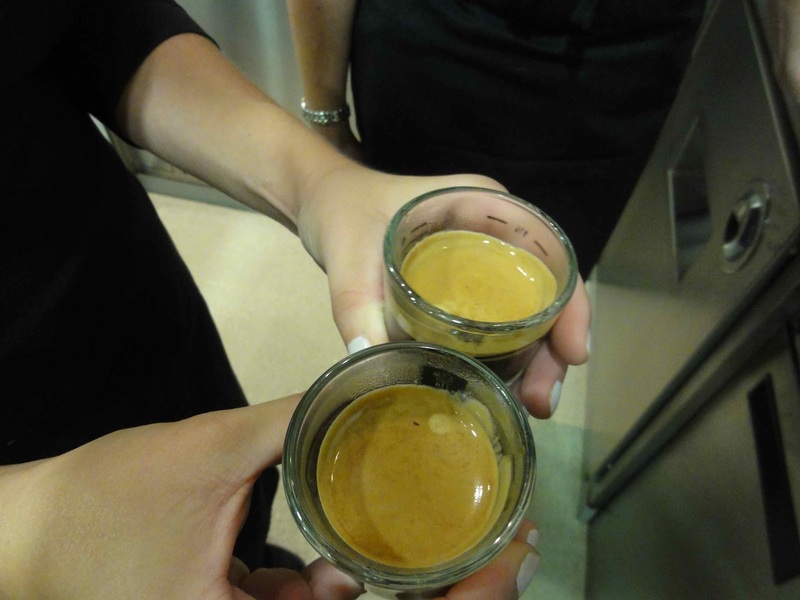 Your effort looks amazing Avril, I love making coffee and the smell of it but don't like it to drink! Working on it though, will enjoy it some day hopefully! Well done, love coffee and this looks like a particularly good effort. Drat ... I was just about to enter. But I'm not allowed to. Amazing Avril well done, and an amazing cause, I did it last year and it was fabulous. I totally want to see your mad latte skills now! Also amazing prize!!!! Oooooooh I LOVE M&S coffee and have been treating myself to a wee 'take away' one regularly recently after leaving my boy to pre school!!! 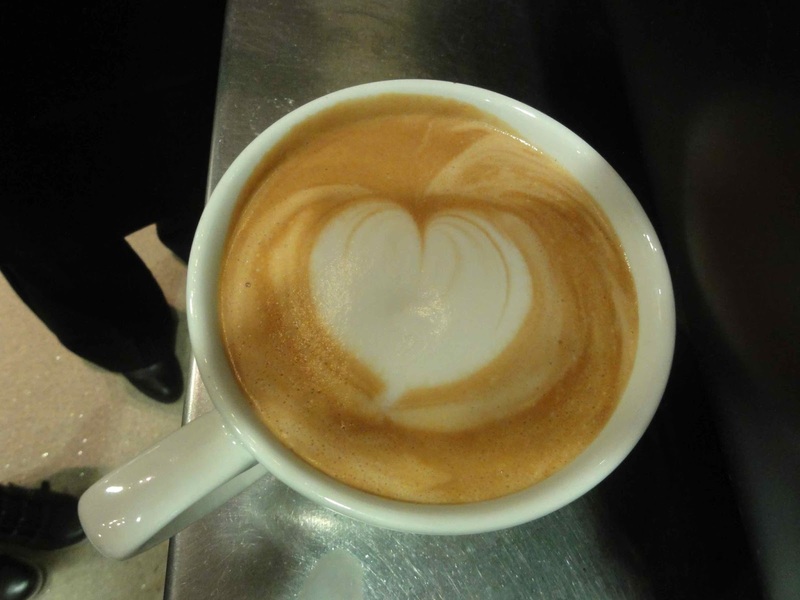 Great job with the latte! 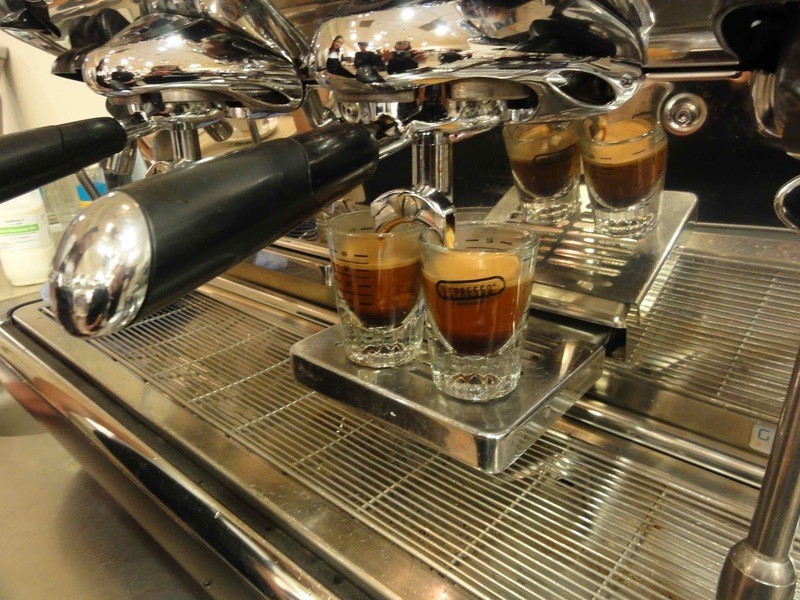 nice work on the coffee making - those machines scare me!